Learn about SimpleTexting SMS Marketing solution for businesses. Includes info on SimpleTexting, free trials, pricing, customer reviews, and FAQs. 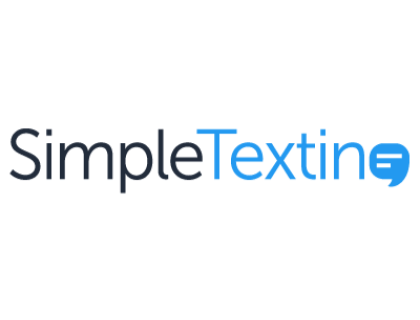 SimplyTexting is a cloud-based SMS Marketing platform suitable for businesses of all sizes. The platform provides a range of key features including mass texts, automated campaigns, and MMS marketing. In addition, their polling feature also allows users to ask their customers questions about service. Pros: Affordable, simple, and easy to set up. Powerful reporting tool. Offers necessary features. Cons: The search tool needs improvement. The API lacks important features. Bottomline: Solid, affordable choice! Simple and easy to implement. Good features that get the job done. What is SimplyTexting's price range? SimplyTexting plans range from $25.00 to $625.00 per month. If you want a Custom plan, you can contact SimpleTexting to get a quote. Is there a SimpleTexting free trial? Yes, SimpleTexting does offer a 14-day free trial. To access the free trial, go to simplytexting.com and click 'Try Us Free' in the main homepage menu. What are some SimpleTexting alternatives? Where can I find the SimpleTexting login? I demo'd this product and it seemed to work pretty slick. You could do a 2-way conversation with an SMS user from their web interface. I don't know if it would work in Australia though.